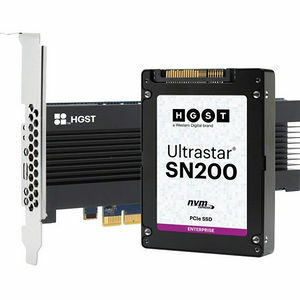 HGST extends its technology leadership with the introduction of the Ultrastar® SN200 Series solid-state drives (SSDs). The Ultrastar SN200 Series SSDs deliver a new level of performance and capacity for Enterprise, Cloud and Hyperscale environments. Enabling faster intelligence in the expanding digital demands of business applications the Ultrastar SN200 Series SSDs are a reliable resource for fast access to critical data. The HGST Ultrastar SN200 Series SSDs double the speed of the previous generation within the same power envelope. By offering exceptional 580,000 mixed read/write random 70/30 4KiB I/O performance on the 6.4TB HH-HL add-in card (AIC), the Ultrastar SN200 Series SSD will enable OLTP applications to scale to new levels.